Lance Armstrong is on the quest for street cred once again. I have mixed feelings about the comeback kid these days. Yes his comeback was incredible and maybe one of the best sports comebacks of all times. 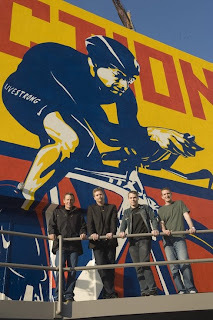 But when I see Lance Armstrong and Nike hiring Shepard Fairey to do a mural or Lance Armstrong x Trek commissioning Kaws to do a bike it makes me sad. I am not sure why because it is great that these artists are getting exciting new opportunities and clients but I feel like Nike and Lance are trying to ride on the coat tail of Fairey's Obama successes. I guess that's why Fairey gets paid the big buck now a days. 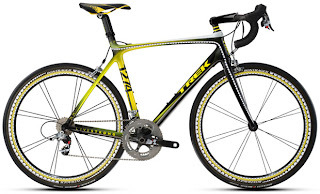 The Trek one doesn't make me as sad. I actually think the bike turned out insanely nice. But I mean Lance road with Mash...Why?....Street Cred...Hired Benny Gold for his shops logo...Why?...Street Cred...Worked with Nike on the Fairey mural...Why?...Street Cred...Did Armstrong even know who Kaws was before having the Trek bike done. Maybe I am being a little hard on Lance, maybe he does appreciate design as much as I do. Maybe it's just jealousy and marketing at its best. How can I get this bike?